Many enrollees are thankful for Obamacare coverage. 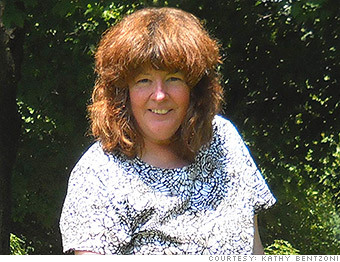 CNNMoney looks at some of the success stories. I started feeling sick in January, but I thought driving a school bus, I was picking up whatever the kids had. But when I was checking the school bus early in the morning in the cold, all my fingers would go numb. I had signed up for health insurance early enough to get coverage for Jan. 1. I had to drop my old, useless insurance back in November because I could no longer afford the premiums. The insurer denied every claim I sent in because they said it was a pre-existing condition. That's the wonder of Obamacare ... they can't say that anymore. I have a Highmark Blue Shield silver plan. I pay $55 for the premium with the tax credit. I almost cried when I saw it. I thought 'Oh my god, I can actually afford this. It's amazing!" On March 1, I had to go the ER. They found my hemoglobin level was 5.7, and the normal is 14. I needed a transfusion. It was due to a rare blood disorder.